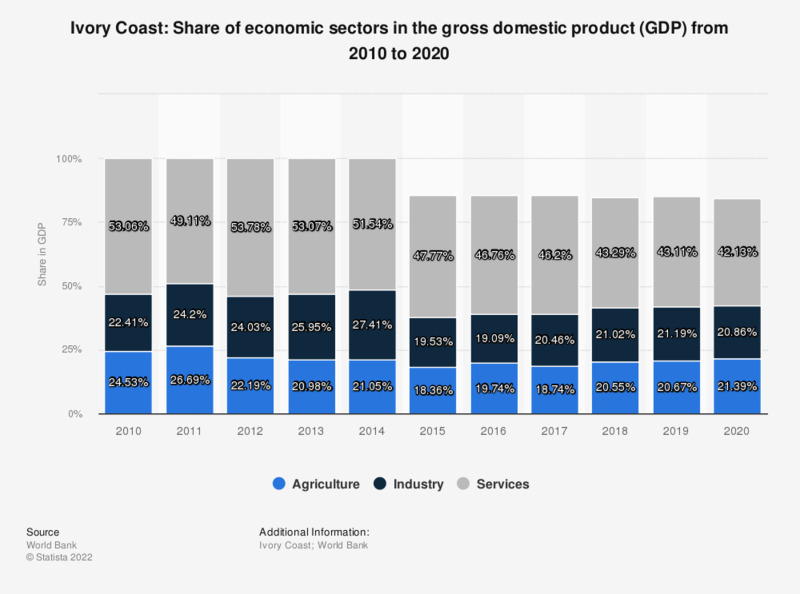 This statistic shows the share of economic sectors in the gross domestic product (GDP) in Ivory Coast from 2007 to 2017. In 2017, the share of agriculture in Ivory Coast's gross domestic product was 20.46 percent, industry contributed approximately 27.39 percent and the services sector contributed about 41.58 percent. Everything On "Ivory Coast" in One Document: Edited and Divided into Handy Chapters. Including Detailed References.